Here is another famous reel from County Donegal, Ireland, which has a tradition of adapting Scottish tunes. The tune is also known as “The Gravel Walks to Granny”, Granny being a remote, uninhabited glen where locals from the villages of Ardara and Kilcar used to summer their sheep. When they went to gather them in autumn they would access Granny by climbing up the gravel paths, thus the name. 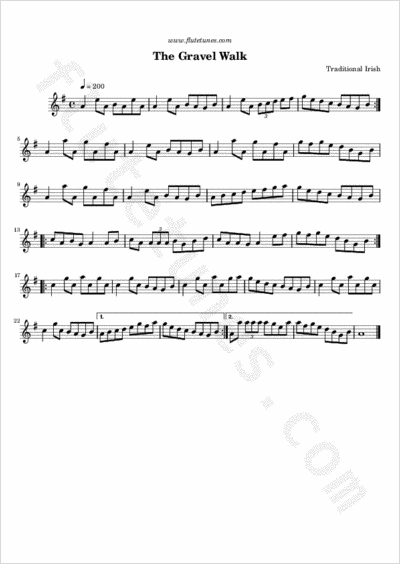 This tune is often played in a set with The Boys Of Malin, which is also traditionally set in the key of A.